The European Parliament has given its approval to new rules that will allow the online reception of TV and radio content across borders. It follows the decision earlier in the week on new copyright legislation. 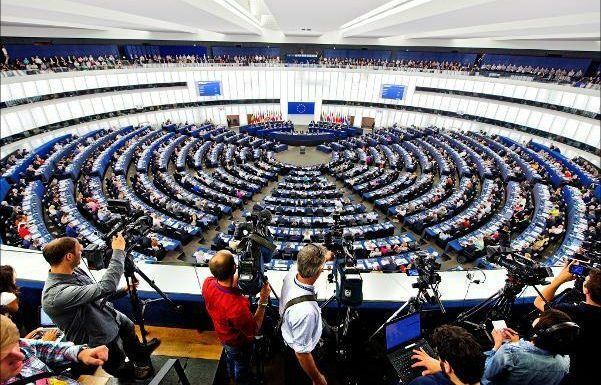 “We welcome the approval of the Directive on television and radio programmes by the European Parliament. With today’s vote, we are completing the modernisation of the EU copyright rules launched in 2015 and we are getting another step closer to a fully functioning Digital Single Market,” Vice-President for the Digital Single Market, Andrus Ansip, and Commissioner for Digital Economy and Society, Mariya Gabriel, said in a joint statement. While making it easier for broadcasters to make their libraries available in other EU countries, the European Commission is also pointing to advantages for the 20 million EU citizens who live abroad in another EU country. However, Noel Curran, EBU Director General, believes the Directive could have gone further: “We do welcome the modernisation as a definite step in favour of European citizens and European culture, and we hope for a swift implementation, but we find it regrettable that the new legal framework still does not cover on demand services as offered by broadcasters, such as catch-up TV”. The Commission originally proposed cross border reception in September 2016, a political agreement was reached last December.